Poison turtle bad boy won the Facebook poll. How do you draw a poison turtle bad boy? This is one way. But this is not was I was originally picturing. I thought I’d peel back the curtain anyway for another SKETCHBOOK FRIDAY! 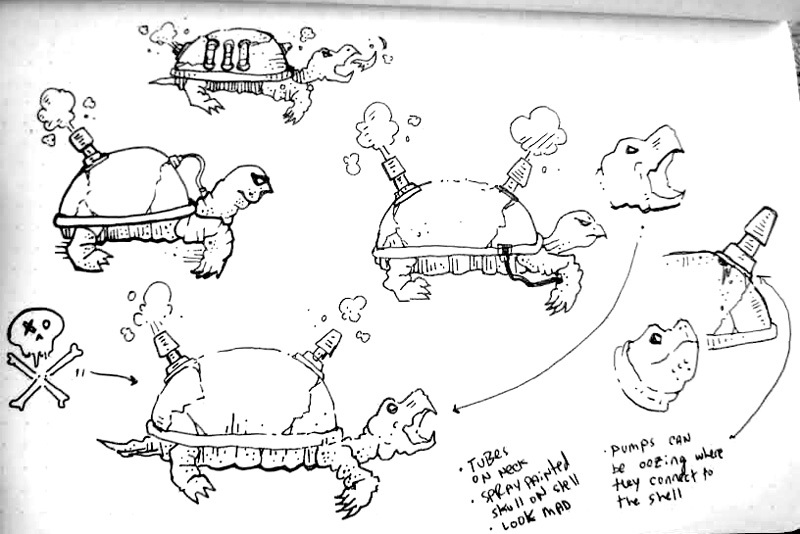 It ended up looking more like a pokemon than a turtle bad boy. He needs a leather jacket and some tattoos. I’ll be revisiting this gaseous stink in the near future.